As mentioned in this morning’s NewsNuggets article, RadioGC is a new streaming radio channel. You can access it directly from your web browser. They also have apps for your mobile devices. Click HERE for more information. 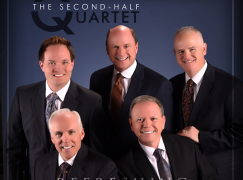 The brainchild of father & son team, Rick & Micah Schweinsberg, Radio GC blends CCM songs that have a Country flair with songs by well-known Country artists that fit the lyrical format of a Christian channel. When I first heard about it, I thought it was a great concept, so I’m taking a listen this morning. Sanctus Real’s “These Things Take Time” is followed by a brief station ID and the tagline, “It’s all about God and Country.” The branding quickly reminds me where I tuned in without taking too much time before getting right back to the music. Up next is “I Pray For You” by Big & Rich followed by Brad Paisley’s “Those Crazy Christians.” Where else can you hear Sanctus Real followed by Big & Rich & Brad? Then, about when I thought I had this format figured out, I heard something I wasn’t expecting: GC Comedy. Yes, they featured Jerry Clower telling about Marcel stopping a train to try to sell the conductor a possum. Evidently, there’s going to be a comedy bit like this every hour. After a break, I tune in again to hear Francesca Battistelli singing “Don’t Miss It,” followed by some DJ time with Molly Cronin. Up next is “I Need You” by LeAnn Rimes, “When It’s My Time” by Rodney Atkins, “Seven Days” by Red Roots, “Every Saint” by Guy Penrod and “Calling All Heroes” by Ryan Watkins. As you can probably gather, the mix leans more toward a modern pop Country sound than traditional. It’s too early to draw any conclusions, but I’m generally liking what I’m hearing. 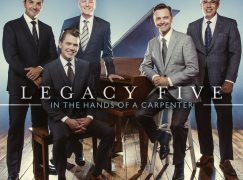 I hope that sooner or later, they’ll balance out the mix with some harmony-driven groups like the Oak Ridge Boys and Alabama. 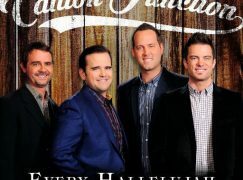 A few of the more Countrified tracks by some of Southern Gospel’s acts like Jeff & Sheri Easter and Karen Peck & New River would also be a nice touch. right ugly and very mean. He seems to like to make fun of people on his tweeter page. if you don’t believe me check it out: https://twitter.com/micahpigtown , and scroll down to the September area. I won’t be listening to his radio program. I read them. I personally find them funny. Are we ever going to learn to laugh at ourselves? And to answer Micah’s question, I haven’t owned a comb in 7 years…. Wow, that’s pretty disappointing. A couple were a little funny, but most were just mean, and not at all balanced by positive comments. More than ever, we need to be building each other up, not tearing down. 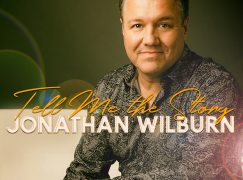 I wish this endeavor much success and hope it promotes the gospel and the people who sing it. Let me put it to you this way….if you can find any one of his comments to be downright false, then I’ll take back what I said about them being funny. To me, much of them were parody anyway. I guess I disagree that something has to be false to be mean and hurtful. Agreed, Kyle. Haven’t people ever heard of satire? Anyway, back to TJ’s comment about Micah not liking “Southern Gospel Music”, from what I have heard so far, a lot of the songs on here are by country music artists. Their tagline is even Radio GC – God and country. 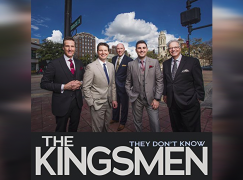 So I don’t think their focus is going to be Southern Gospel artists. The only SG artists I have heard are Red Roots and Austins Bridge. Yes, that was my impression as well. As I mentioned in the article, though, I think it would help balance their mix if they would include some of the country-flavored songs recorded by SG artists. 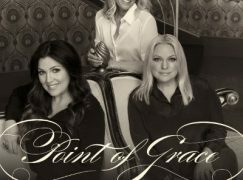 I’m not expecting “Beulah Land” or “Midnight Cry” or “O What A Savior.” Some songs that would fit in by SG artists are Jeff & Sheri doing “Goin’ Away Party,” Triumphant doing “Living In Harmony,” or Gold City doing “That’s What I’m Talking About” or the Oaks doing, well, pretty much any gospel song they’ve ever done. I wouldn’t presume to guess what his mindset was when he wrote those posts. I took them like a Mark Lowry comedy bit, but when it’s in print, it’s not as easy to discern the intent. I watched a video of Mark last night where he asked if any Catholics were in the room. Then he said, “Say hello to Mary for me.” Some might be offended by that. We need to lighten up and laugh at ourselves. I was at a Tim Hawkins show a month or so ago. He poked fun at the Catholics as well. I was sitting beside some and they were laughing at those particular jokes. So yes, we need to “Lighten up and laugh”, as Ken Davis would say. I don’t think taking a photo of heavy set folks on an electric scooter as “satire”.. I call it mean, and dis-tasteful! and Darrell, I too like to laugh, but not a other peoples expense…..why take the pic…and make a comment at all? ?